Everyone can have a birthday party, but not everyone can make it unforgettable. Olympic Golf Zone organizes your special day in a memorable way. 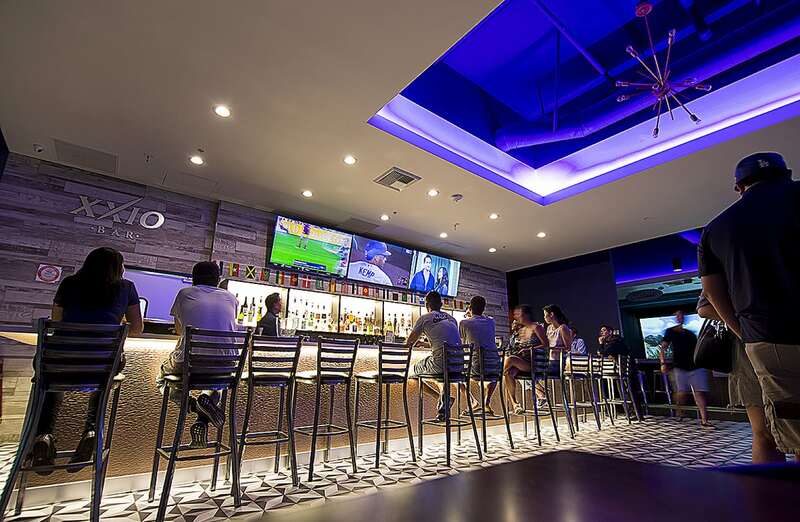 Everyone invited will be impressed by the unique opportunities to try virtual golf and baseball batting cages, as well by the diverse menu we offer in terms of food and drinks. You bring your theme, we make it happen! The team at Olympic Golf Zone will discuss any birthday party ideas you have and will strive to integrate them perfectly in our location. From decorations to music and activities, your birthday party will be a hit! Benefit of Party Ideas and Birthday Party Packages! While you know best what you want to have at your birthday party, some experienced advice never hurt any one. Our passionate team at Olympic Golf Zone will make sure your wishes will come true and will suggest great party ideas that will make your event even better. Entertainment is our middle name and we have the perfect team activities and games you, as a group, can try, while our dining area can easily become a dance floor when the right music asks for it. Olympic Golf Zone believes that you shouldn’t worry about a thing on your birthday, but rather try to live each moment to the fullest. Our birthday party packages seem too good to be true, but they are a guarantee for your special event. Depending on your preferences and the activities you want to try, our staff is glad to present you with options that will perfectly suit your group identity. Reserve Golfing at Olympic Golf Zone Party Place! Maybe you have heard of golf and thought that it is a sport that requires a well-defined outdoor golf course and years of practice. Olympic Golf Zone dares you to try a golf game on the best indoor golf simulator in town! Step by step, you will discover that it is hard to find such a relaxing and fulfilling experience elsewhere, as the adrenaline of playing virtual golf will win you over! We cannot forget about the delicious dishes made by our chefs, or the select drinks prepared in our bar, with the strongest passion and keen attention to details. The menu at Olympic Golf Zone satisfies even the most pretentious tastes, while great service will also leave a positive impression on you. Especially for your birthday party, Olympic Golf Zone strongly advises you to reserve golfing as a main activity for your friends to enjoy and you won’t be disappointed! We’re pretty sure that after a first round, they will be interested in our golf deals and become regular members of our golf club. Needless to say, if the people invited to your birthday party will have a great time, you can rest assured knowing you made the right decision. Make Your Golf Reservations for Your Birthday Party at Olympic Golf Zone! Your birthday party is a special event, a time when you and your loved ones celebrate you, as a person, as well as your personal connection with each and every one of them. For Olympic Golf Zone, each birthday party is a distinct celebration and we strive to make yours one to remember. Therefore, our team is eager to get to know you, to understand your preferences and way of being as a group, so that the party ideas will reflect your personality and wishes. We are open to any ideas you come up with and we will also suggest if any virtual golf activities will be suited for your group. Ready to make your birthday party stand out from the crowd? Call our team at (714) 228-9900 or stop by at and 6988 Beach Blvd #B208, Buena Park, CA 90621 and let’s make this happen!